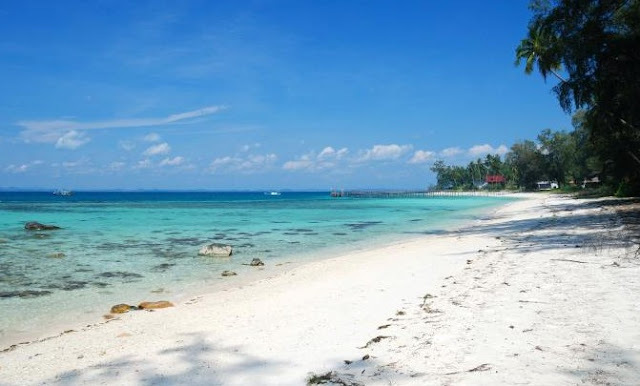 Holiday: Besar Island at Johor, Malaysia. 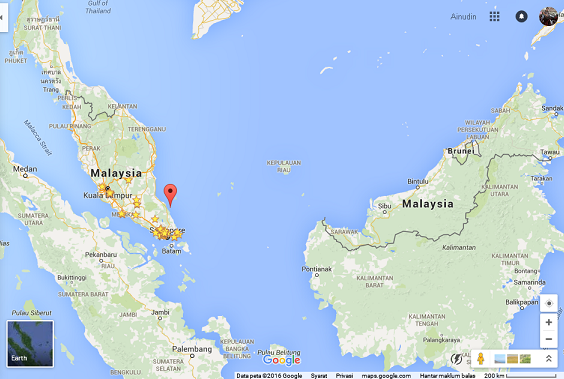 There are a line of 3 islands just at the coastal of Mersing in Johor which used to be living by wild boars, Besar (Big), Tengah (Midle) and Hujung (End) Island. These island is one of famous location for diving activities. Nobody knows how the wild boars got across into the habitat of the islands but these hardy creatures have been known to swim in long distances. Perhaps, when got a big flood at the mainland during heavy raining monsoon and large area been effected from riverbanks, The flood could have carried them to these islands and hence multiplied as there were no known predators until man came along. Local fisherman named the islands as Pulau Babi Besar (Big Pig Island), Pulau Babi Hujung (End Pig Island) and Pulau Babi Tengah (Middle Pig Island) but the word 'Babi' was consequently dropped from the name and thus, today they are known as Besar Island, Tengah Island and Hujung Island. As with the name disapeared, the wild boars on these islands have also disappeared. 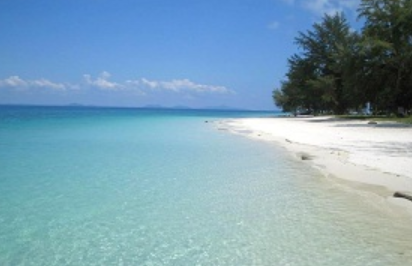 The beautiful view at this island make it to be one of the most popular holiday trip location. 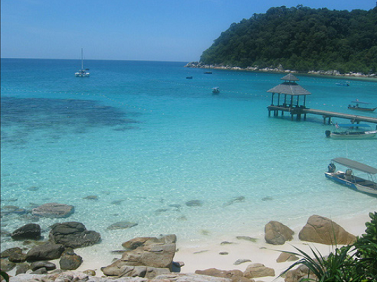 Tengah Island has been a Survival (Television Entertainment Game) and Expedition Robinson shooting scene location area. Some scene was been filmed nearby Besar Island. The quiet environment, clean beaches with white sand of this island promise an amazing spectacular view. There are many interesting activities can be done on this island. 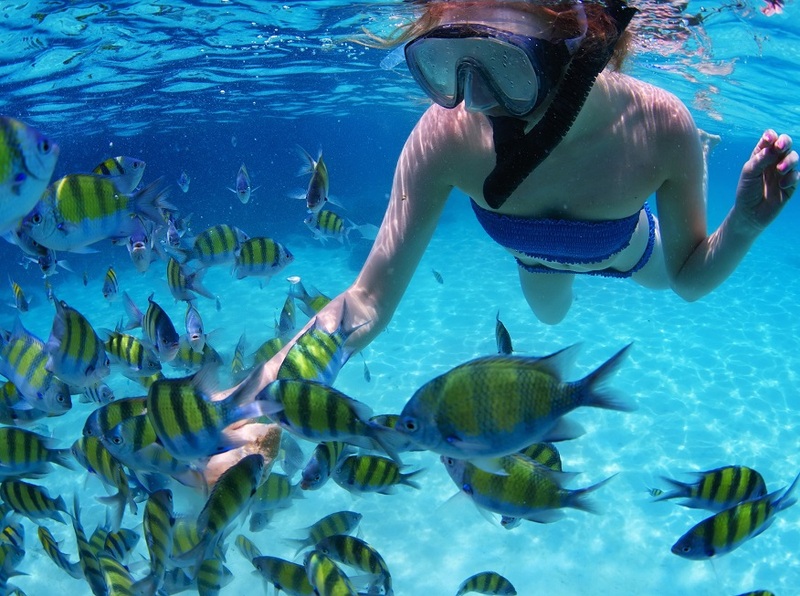 The water is crystal clear and so clean that visitor can see many reef from the surface. 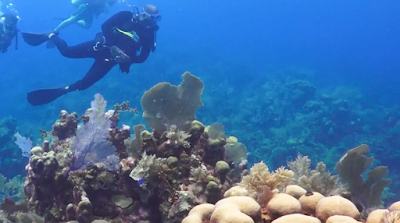 This marine life gazette area has become natural habitat for about 60 species. So, scuba diving and snorkeling are the best activity for you to enjoy. And I’m sure you will be amaze with the spectacular underwater views. Others activities are fishing, jungle tracking or take a trip to the nearby island with a great tourist package. Jungle tracking is for those who like to see the view of the surrounding island from top of the hill.